Nancy A. Khalil completed her PhD in Anthropology at Harvard University and is currently a Postdoctoral Fellow at Yale’s Center on Race, Indigeneity and Transnational Migration. Her research focuses on the politics of American Islam with an emphasis on the profession of the Imam in America. 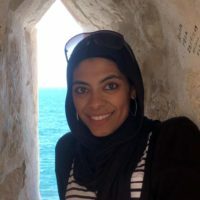 Other research projects she has worked on include research on migrant and second generation political and civic engagement; Muslim students on U.S. college campuses; as well as a large project specific to the Muslim community in Boston. Her academic work has been supported by several foundations, including the National Science Foundation, Social Science Research Council, Bucerius Zeit-Stiftung, MSA National, IIIT, and the Islamic Scholarship Fund. She has a particular interest in building bridges between activism and academia. Prior to her doctoral studies, she worked as Muslim Chaplain at Wellesley College and Advisor to their Multi-faith Living and Learning Community. She is co-founder and board member of the Muslim Justice League, a board member of Islamic Relief USA, and will soon begin as an Assistant Professor in the department of American Culture at the University of Michigan, Ann Arbor.